For organizations, risk is a key concept when dealing with business process. Integrating risks aspects during business process management starts with an accurate consideration of risk's characteristics in the modelling phase. Most research is needed on integrating risk and business process modelling. Actually, the literature suggests various approaches to represent risk-related information in business process models. The diversity of those methods and the fact that this domain is still emerging make it difficult to choose the most suitable language. This paper aims to represent a survey of the existing risk-annotated business process model's notations. 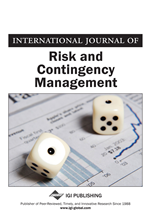 Methods that attempt to reason about risk through the introduction of new integrated risk constructs to capture risk-related information within a business process model.